I’ve ticked a lot of things off my bucket list but I still have a lot left to see and do. 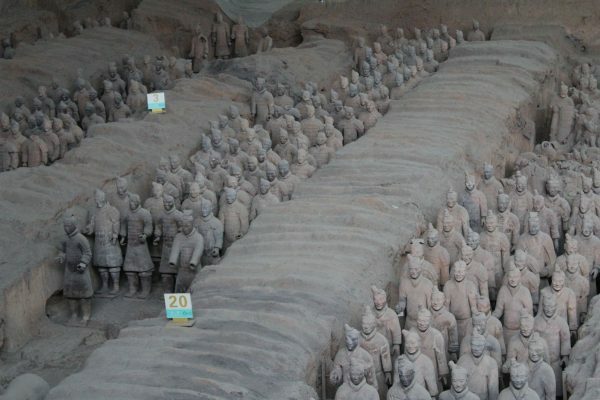 The Terracotta Warriors were of interest to me ever since I watched a TV documentary and so they were at the top of my list while visiting China (well, right after The Great Wall). 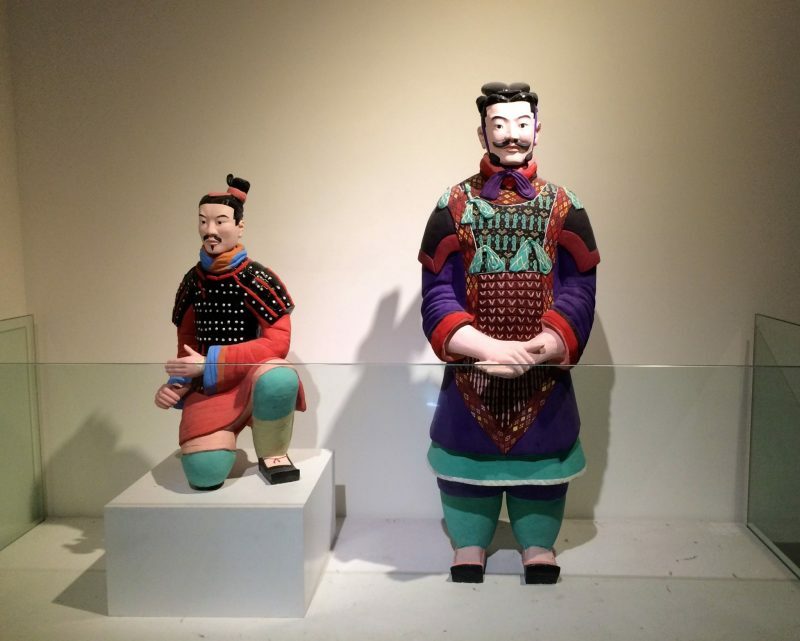 We travelled from Beijing to Xi’An (it only took a couple of hours) just to see these guys! Really, we stayed in Xi’An for only one night which is a shame as we heard it is pretty cool! Although, we did get to go for dinner there and actually, before we went into the museum, we had lunch in a local farmers house, which was awesome! They were discovered by a local farmer, Mr.Wang, who still lives around the site where he found them. So we thought it would be rude not to drop in and say hello! It’s free of charge to visit him but they do try to make you buy his book. 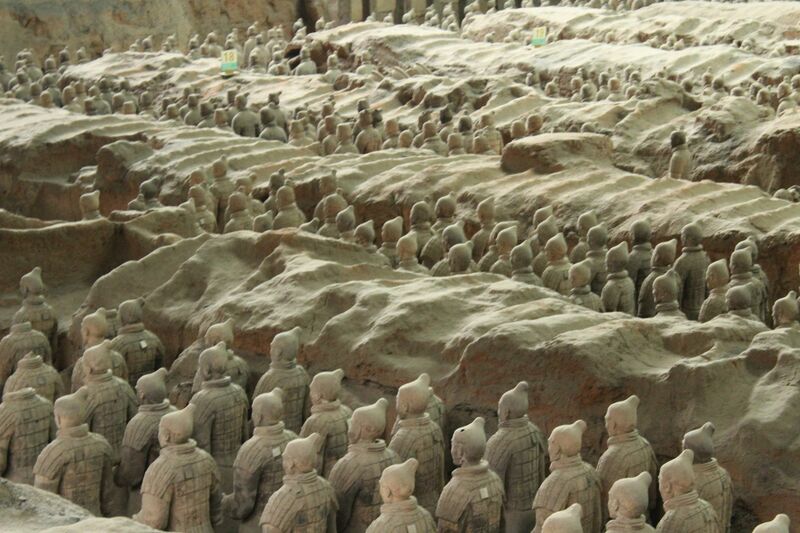 It’s estimated that this army consists of over 8,000 clay soldiers, 520 replica horses and 130 chariots. It was commissioned by the first emperor of China and buried with him to protect him in his afterlife! Originally, the figures were painted vibrant colours like red, pink and green for example. However, after they were excavated, the colours faded and flaked really quickly, to the current grey/terracotta colour that they are today. Once exposed to the dry and humid Xi’An air, they could fade within as quickly as 4 minutes! Every single one of them are different because they were modelled off real life people. They’re all life-sized but are different heights because of their roles. The Generals are the tallest amongst them. Once the statutes were finished, the emperor had the models murdered! He didn’t want people to know that about his secret army. People still found out though, and when they did, they destroyed the army. 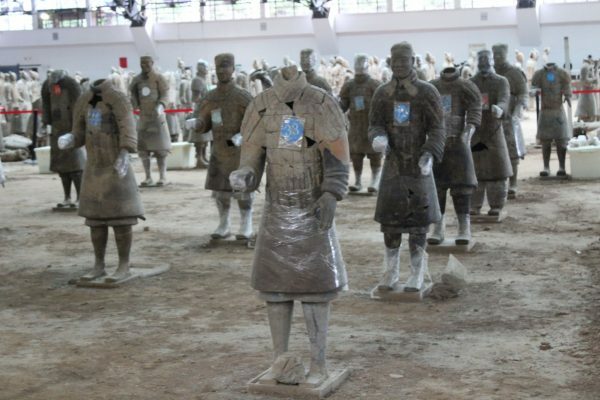 This is why most of the soldiers were found thousands of fragments. 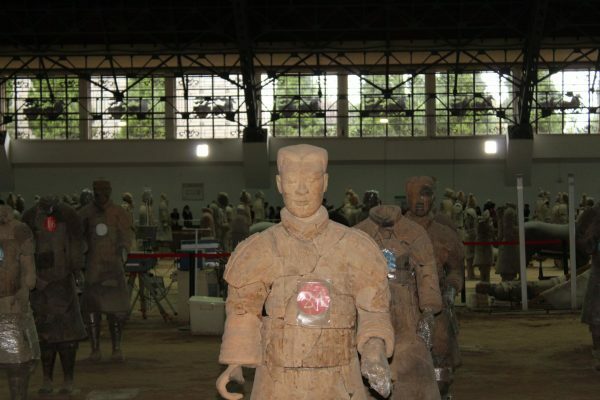 Consequently, The Terracotta Warriors are said to the world’s largest jigsaw. Archaeologists are still active on site putting their pieces together. Watching them in action was definitely the highlight for me (I’m such a nerd!). You can see them in my China blog which you can watch here. Are They Worth a Visit? These little guys are definitely worth a visit! 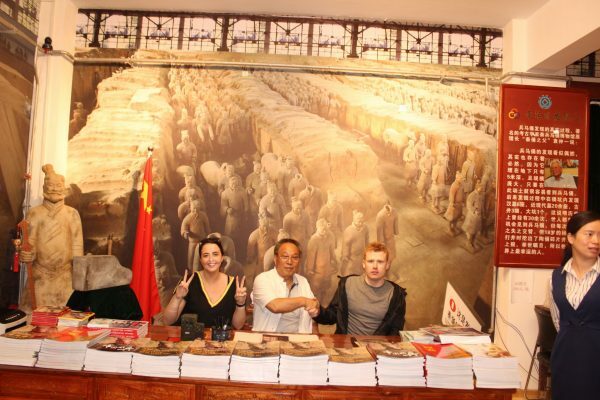 I really enjoyed it and even bought a miniature Terracotta Warrior there which is made from the same clay! Such a nice little souvenir. If you’re not planning a trip to China any time soon, fear not. These legends go on roadshows all around the world so keep your eye out for them here (not all of them, obviously!). If you are planning a trip to China, well then you need to read this blog post here. There are some things you should know!